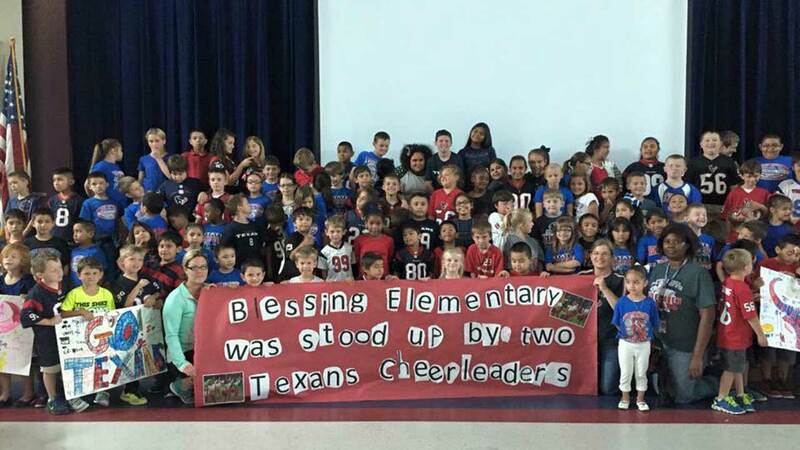 BAY CITY, TX (KTRK) -- The Houston Texans cheerleaders are apologizing after standing up a local elementary school. Two cheerleaders were supposed to visit students at Blessing Elementary near Bay City, but had to cancel at the last minute. Students snapped a photo complete with sad faces! We reached out to the cheerleaders who said this was a scheduling mistake. It turns out most of the team is in Puerto Rico shooting a calendar. They say they are working on rescheduling and making it up to those students.